Cost: £70 including sandwich lunch and refreshments. To reserve your place, please use the button below to contact me. An electronic invoice will be sent to you with confirmation of your booking. Do you (and your staff) know how to turn enquiries into client instructions? Can you discuss costs confidently? What does this 2-hour motivational workshop cover? *For one of the techniques to position you as a Trusted Adviser, see our latest blog post here. I attended Ann’s 2 hour session from her Stress Free Client Convertor Workshop. One of the topics we covered was how to overcome objections around price. That very afternoon a client raised with me the fact that he thought my services were too expensive and that he could undertake the task himself. Rather than becoming defensive as to my fees (as I would have done prior to Ann’s workshop) I remained calm and was able to counter his objections with grace and confidence. I adopted the role of “Trusted Adviser” and explained in detail all the steps that he would have to undertake, and the pitfalls he would encounter if he undertook the process himself. At the end of my explanation he decided that he would rather rely on my skill and expertise! 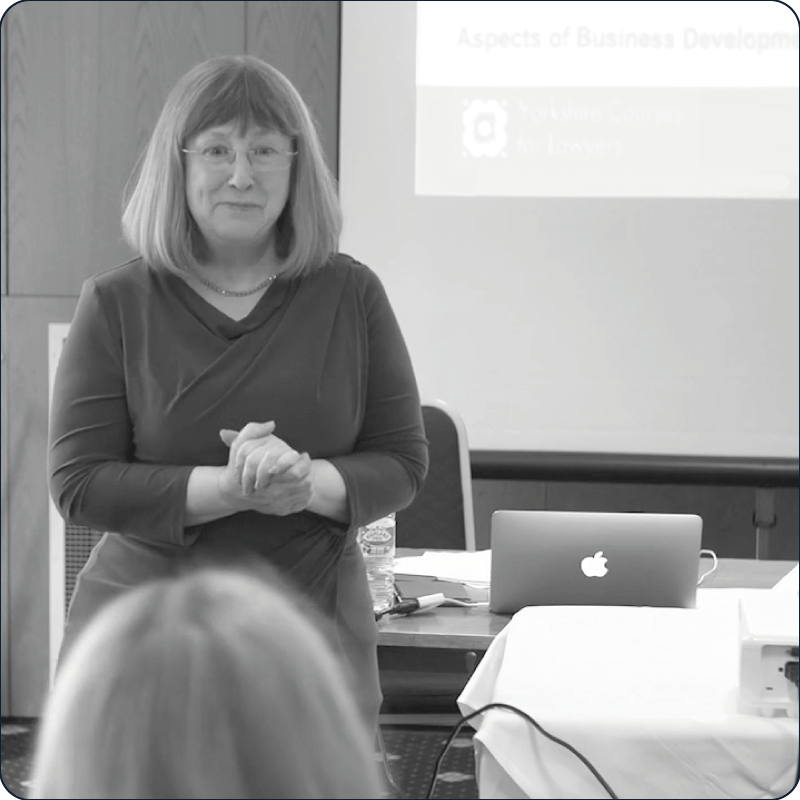 As a motivational training specialist, Ann has delivered strategic coaching, leadership, management and interpersonal skills training to nearly 7000 lawyers since 2003. She holds N.L.P. and coaching qualifications, and is a member of the Professional Speakers Association and Professional Speakers Academy. To reserve your place, please use the button below to get in touch. Great interactive content. Clear tips and techniques. Usable techniques not just theory. Would recommend. It covers business essentials that every lawyer should know. Very useful topic and will be useful in the workplace. It teaches a lot of useful skills in a very condensed format.